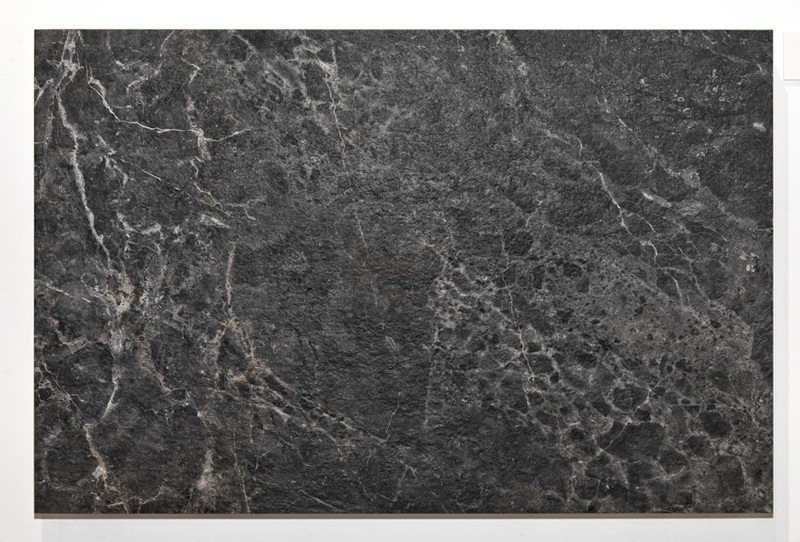 Boutique is the marble effect range from Del Conca, a sophisticated and elegant interpretation of this product category. The introduction of the new Shine finishing, realized in a radically different manner from the previous generation, places the series Boutique among the aesthetic references available on the market thanks to the use of a delicat glaze applied in an intense thickness, through which we obtain a level of reflection and chromatic intensity with no comparison. The format 120x120cm, a brand new size for Del Conca, additionally contribute to make this collection the most precious among the Cersaie 2017 novelties. 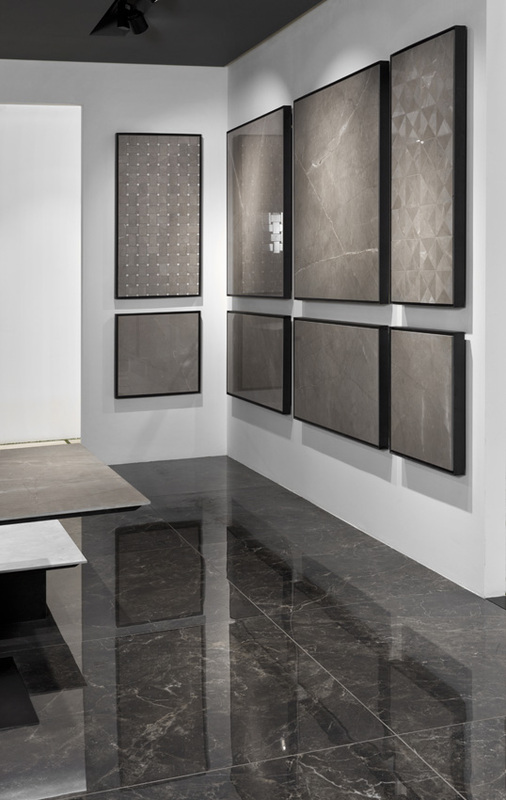 The range is completed by the sizes 60×120 and 60×60, further than the decors created by cut pieces, all with a 10,3mm thickness. 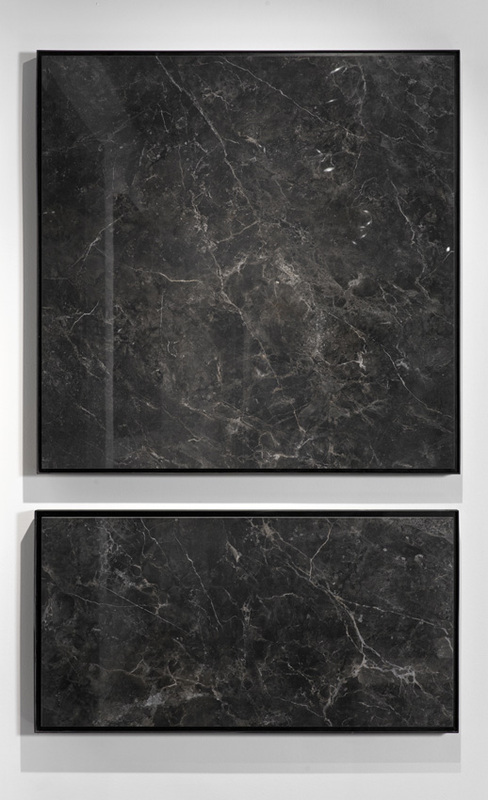 On the 20mm version, available only in two chromatic version, the Boutique is proposed on the new 60×90 size, with both natural and rectified edges. 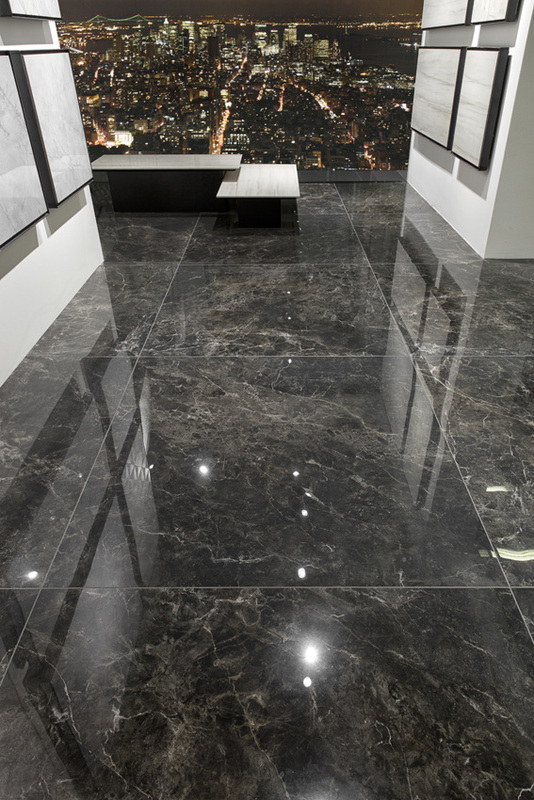 Shine, which gives the shininess of the polished marble for elegant and refiend settings. Suitable for both a residential and light commercial use. Natural, which gives the warm and smooth feeling of the opaque marble, due to the low light reflection creating a cozy atmosphere. Suitable for both residential and commercial use. What is the Shine finishing? The “Shine” finishing define a tile subjected, after the firing process, to a mechanical polishing treatment of the glaze: a sequence of diamond sqauring wheels, which are set to a finer version on the process, abrade and wear the surface relief up to it becomes extremly smooth and shiny therefore reflective. Is to be considered normal that a SHINE product can present some small spots of different shininess on the surface, due to the concavity of the glazed before the treatment. 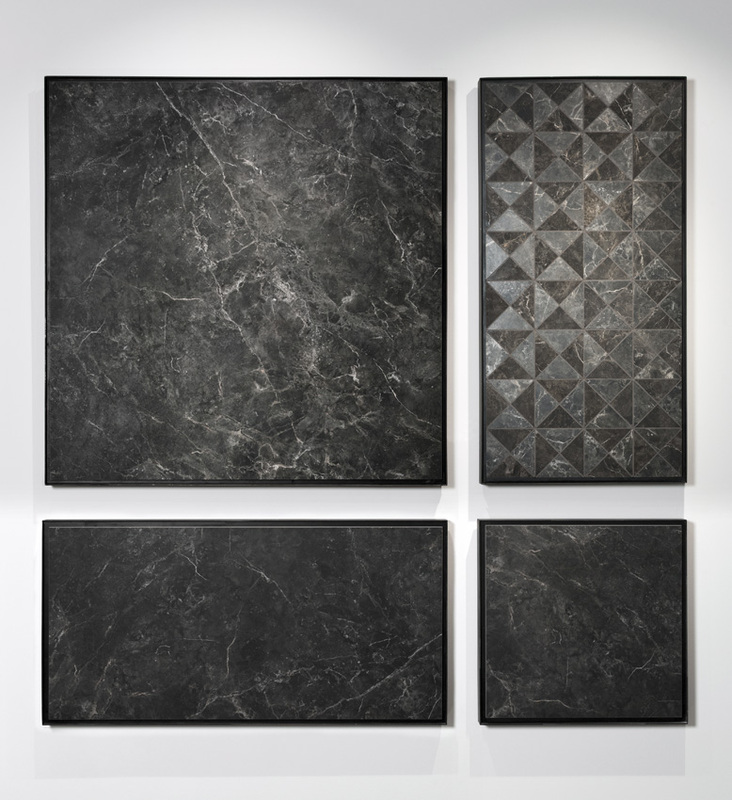 These are part of the product aesthetic which demonstrate that the SHINE finishing is a treatment of the glaze; remove them will result in a deeper procedure (called “Levigatura”) which would damage the digital graphic of the tiles. On the contrary, through a common “Polish” finishing the treatment is less deep and only part of the tile surface comes out to be shiny, while the rest remains natural or “Matte”, giving the product the typical speckled look. The SHINE finishing we present at the Cersaie Fair 2017 has a surprising effect from the aesthetic and quality point of view, with a brightness, colour depth and definition inconceivable in the part. 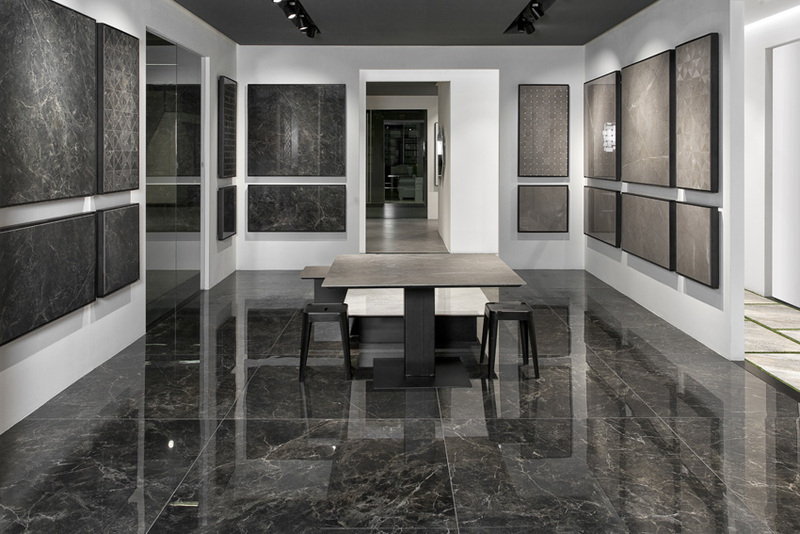 This is a consequence of a long process of research and trial tests through the use of ceramic glass rather than standard glaze, applied in higer quantity on the tile surface. Consequently for each article it is necessary to produce two different base product, one for the Matte finishing and one for the SHINE. As the SHINE finishing is obtained through a deep treatment, which result from the removal of the most external layer of the glaze naturally creating the opening of some porosity, that can always be found under the glaze surface. To avoid that before and after the lay the dirt settle in these porosity as wellas to make the daily cleaning easier, the product is treated directly on the lines with a sealing, something that not all the Manufacturer do. Despite this additional treatment the SHINE finishing remains more delciate and require a more frequent cleaning in comparison to a product with a natural surface, in particular after the layout is finalized. 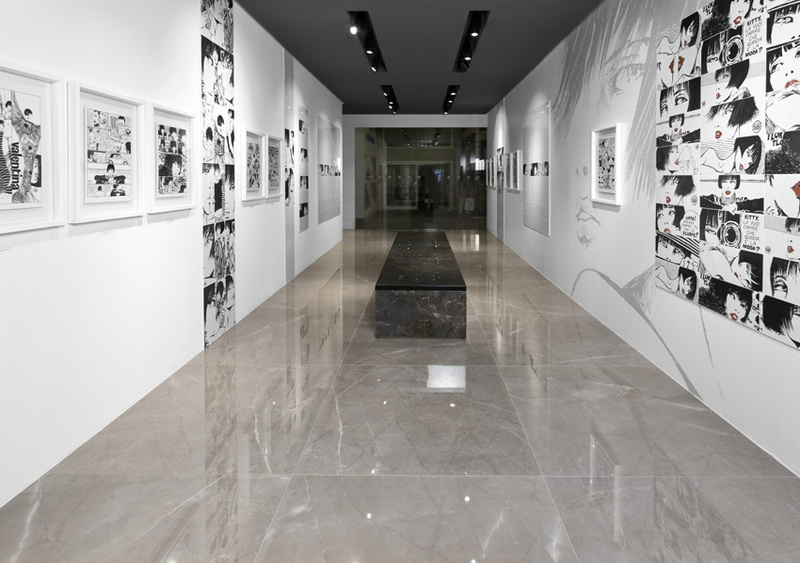 In the areas subjected to heavy traffic and dirt (such as Restaurant for instance) is possible to renew the protective treatment even on laid floor. A SHINE product, due to its very smooth surface, has got a low slip resistance (indeed it is always classified as NC on the realted international tests), therefore it is important to maintain the floor well dry. On the base of the same use, a scratch will be more visible on a SHINE product rather than on a natural one, as this alter the light reflection. 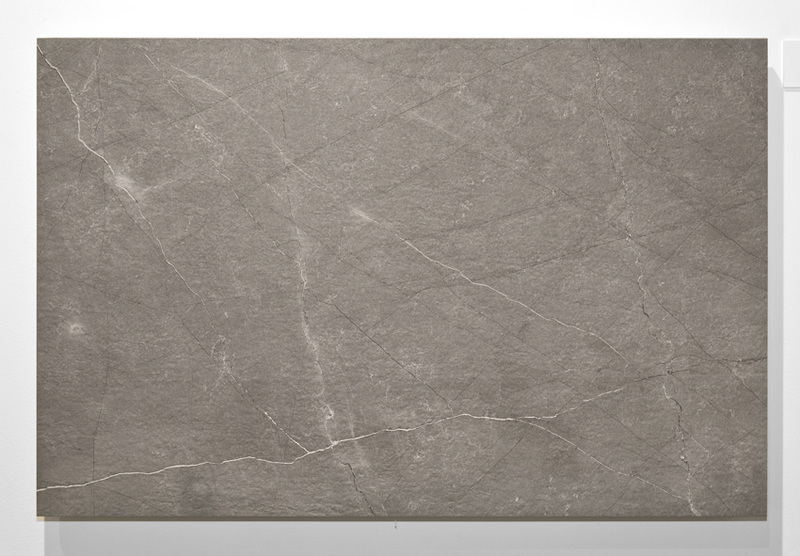 Boutique HBO10, inspired by “Invisible Gray”marble, naturally existing in a very light grey shade, with grey veins of different width and strenght. The large amount of graphics makes the HBO10 a very natural product, never repetitive, with a very light background color that enhaces its elegance. Boutique HBO1 it’s a “Zebrino Striato”italian origin marble, coming from Alpi Apuane region. The horizontal veins, are going through the beige background, enriching with alternate lighter and darker stripes. 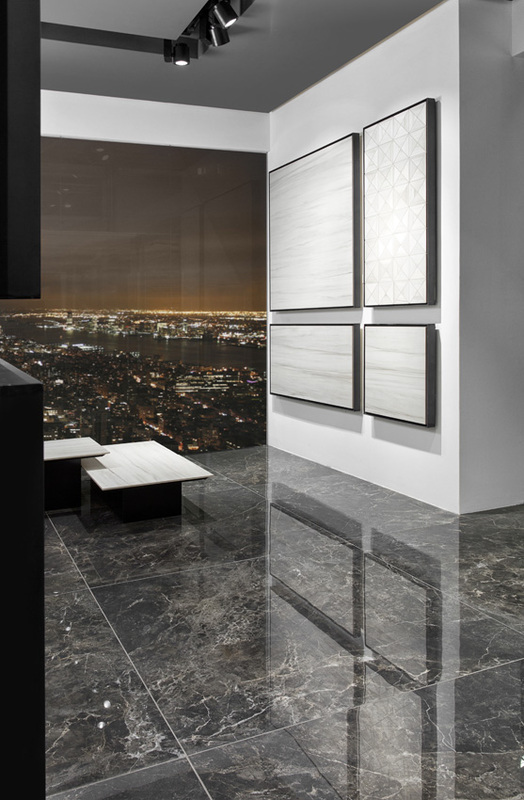 Boutique HBO5 takes inspiration from the richness and the elegance of “Amani”, a unique marble. Thanks to its bronze shades, warm and cozy, Amani covered areas are relaxing, peaceful and at the same time elegant. 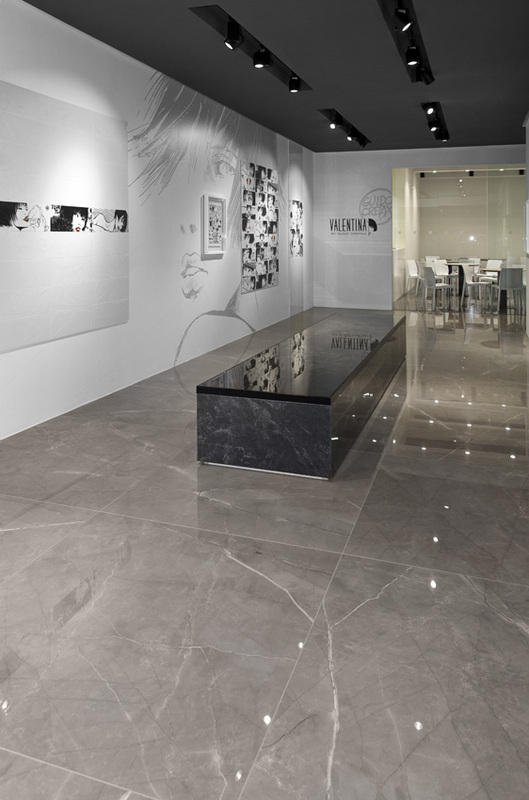 Boutique HBO 8 is our version of “Noisette” marble, tipical Italian product. Noisette nautral characteristics are the heterogeneity underlined by very different shades and strong veins. HBO8 it’s a black background version with only white unique veins, that give the product a luxury and elegant touch.